Robyn Smith has been researching her family and others for 18 years. An engineer by day, Robyn applies those research and problem-solving skills to the field of genealogy. 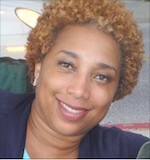 She specializes in Maryland research, African-American and slavery research, and court records. Robyn has a strong interest in promoting the documentation of communities and emphasizing the use of proper genealogical standards. Robyn teaches an Advanced African-American Genealogy class part-time at Howard Community College in Columbia, Maryland. She also lectures and writes about family history research. She is the author of numerous genealogy articles and a popular genealogy blog called Reclaiming Kin which can be viewed at the web address below. In 2015, Ms. Smith published the book version of her blog, “The Best of Reclaiming Kin,” which is also available for purchase at the website.